Mid Atlantic travelers who focus on Civil War events at major National Parks are missing out on the opportunity to learn more about another conflict which shaped the nation; The War of 1812. In the 32-month long War of 1812, the United States took on the greatest naval power in the world, Great Britain. 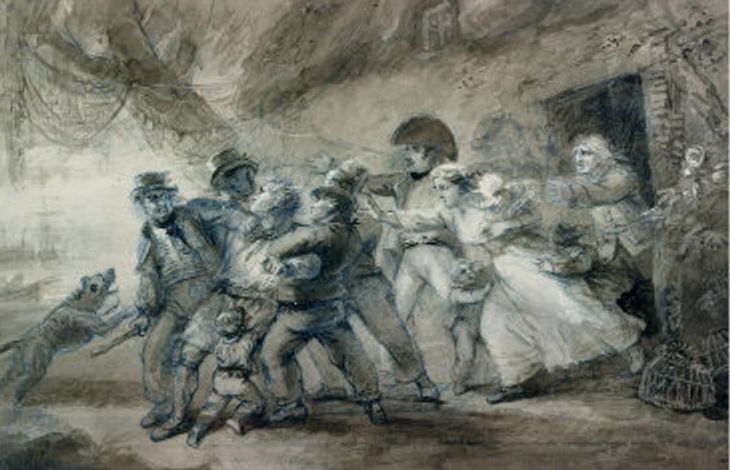 The United States suffered many costly defeats at the hands of British, Canadian and Native American troops over the course of the War of 1812, including the capture and burning of the nation’s capital, Washington, D.C., in August 1814. On Sunday, February 23 at 3:00 p.m. in the new auditorium at the College of Southern Maryland Prince Frederick Campus, historian Dr. Sidney Hart will present The War of 1812 through the lens of Portraiture and Images. Dr. Hart is the Senior Historian at the Smithsonian’s National Portrait Gallery and co-editor of the Peale Family Papers, “The Selected Papers of Charles Wilson Peale and His Family, 5 volumes.” He recently curated the National Portrait Gallery exhibit“1812: A Nation Emerges” and co-authored the exhibit’s catalogue of the same title. This lecture is part of the War of 1812: A Legacy of Division series which offers a wide range of perspectives on this “forgotten conflict.” The series is presented in celebration of the War of 1812 Bicentennial by Jefferson Patterson Park & Museum, in partnership with the Calvert Marine Museum and College of Southern Maryland. Jefferson Patterson Park & Museum, a state museum of archaeology and home to the Maryland Archaeological Conservation Laboratory, is a program of the Maryland Historical Trust, a division of the Maryland Department of Planning. It is located on 560 scenic acres along the Patuxent River and the St. Leonard Creek in St. Leonard, Calvert County, Maryland. 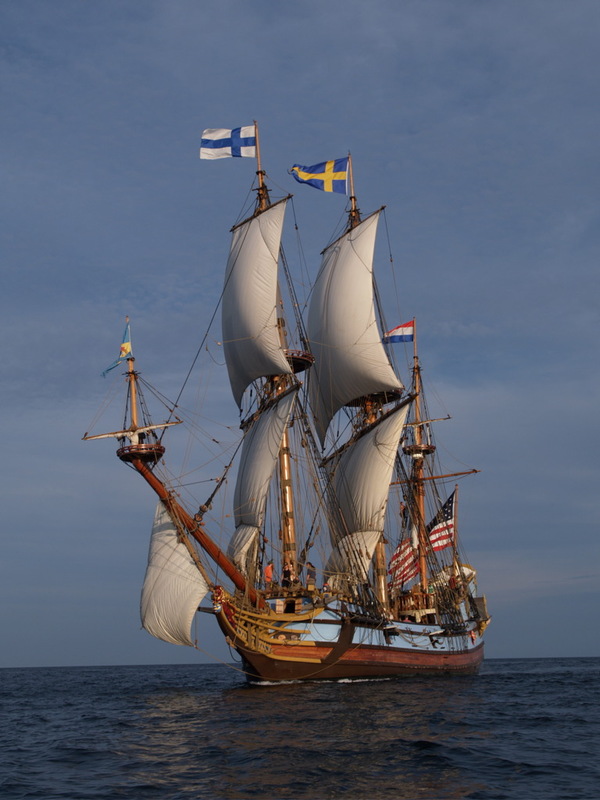 For more information on the series visit: http://www.jefpat.org or http://www.calvertmarinemuseum.com. Categories: Maryland, Solomons, War of 1812 | Tags: Maryland, Mid Atlantic Region, War of 1812 | Permalink. 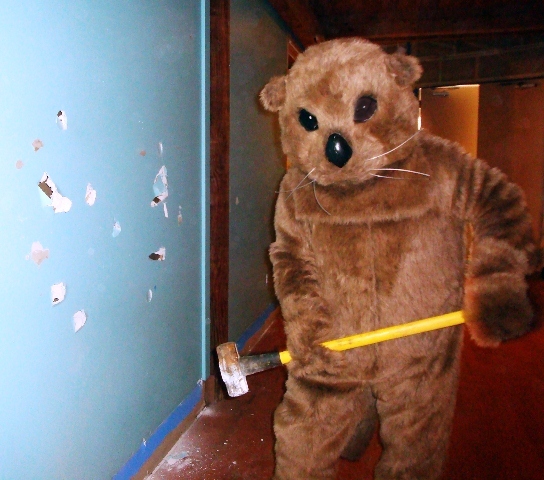 The Calvert Marine Museum sent me a cute picture of their otter mascot taking a sledge hammer to a wall to showcase their new renovation. Due to the extraordinary growth of both the museum’s educational programs and the number of events taking place inside the museum, they are expanding their facilities. Over the last 40 years, the Calvert Marine Museum has grown from a modest community-based operation created to preserve and celebrate Solomon’s history to a premier educational facility serving a regional and national audience. Since opening in 1970, nearly two million visitors have visited the museum, and they expect another million during the next ten years. The museum and Museum Store are open and will remain so until January 1, 2014. The renovation is estimated to be completed in March 2014. Categories: Maryland, Solomons | Tags: Calvert Marine Museum, Chesapeake Bay, educational programs, Kids, Maryland, Mid Atlantic, Mid Atlantic Region, Mid Atlantic Travel, Otters, Travel | Permalink. Everyone seems to have egg hunts in spring, and let’s face it; they’re all variations on a theme. 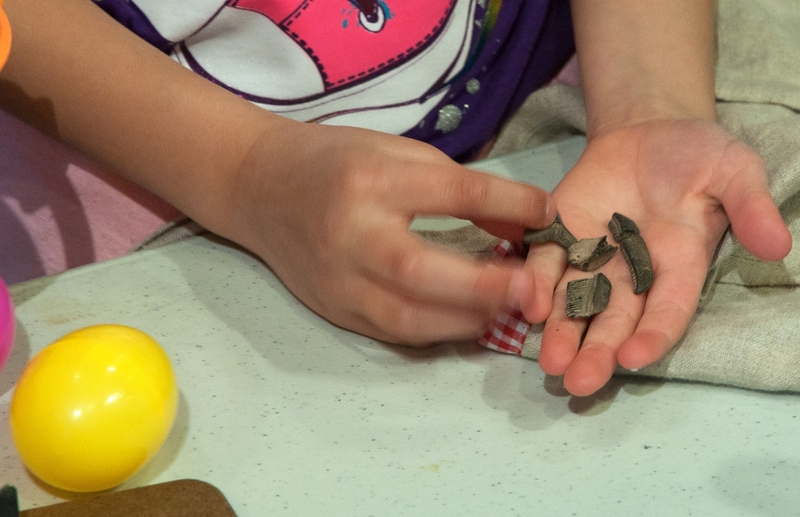 If you’re looking for a family outing that will provide the kids with something more than a sugar rush, check out the Fossil Egg Hunt at the Calvert Marine Museum on March 30 starting at 10:30 a.m. Designed for children age 3-8, the kids are divided into two groups to give everyone a fair chance at the goodies. Best of all, participants get to keep the fossils. Bring your own basket for egg collecting. Free with museum admission. Also at the CalvertMarineMuseum, enjoy learning about otters, the merry prankster of the mammal world, on April 1 for a fun April Fools Day activity. Sign up for the Otter Breakfast and learn about otter enrichment, habitat, and the mischief these mammals get into with their playful curiosity. Go behind the scenes to talk with a keeper and observe a feeding. A continental breakfast will be provided as part of the fee. Children must be at least 8 years old and accompanied by an adult to participate. Space is limited, pre-registration required. Fee is $15 per person, $10 for members and includes museum admission. Call 410-326-2042 ext. 41 to register. Program begins at 9 a.m. Categories: Maryland, Solomons | Tags: April Fools' Day, Egg Hunt, Family Activites, Family Fun, Fossil Egg Hunt, Fossil Hunt, Fossils, Kids, Mid Atlantic, Mid Atlantic Travel, Museum Breakfast, Otter Breakfast, Otters, Travel, Travel with Kids | Permalink. The Maryland Department of Natural Resources (DNR) has partnered with the Calvert Marine Museum to exhibit a unique cannon from the oyster wars in the lobby now through September 30, 2012. The original cannon was acquired by DNR and used by the Maryland State Oyster Police Force to control the oyster harvest in the Chesapeake Bay in the 1900s. Gregory Bartles, Lieutenant Commander of Area 8 and Agency Historian was instrumental in securing the cannon and seeing that it is made accessible to the public. He will give a talk on Thursday, August 2 at 7:00 p.m. in the museum auditorium. Admission is FREE. 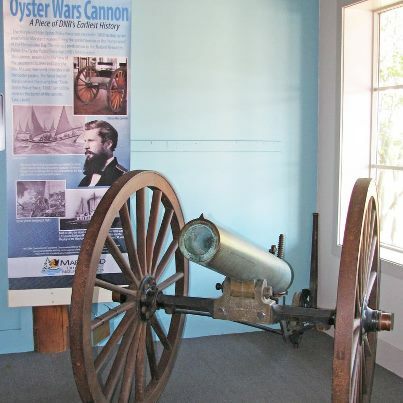 For more information about the history of the cannon and the oyster wars, visit http://www.dnr.state.md.us/mdconservationhistory/Oyster_Wars_Cannon.asp. The museum is open daily from 10:00 a.m. to 5:00 p.m. Museum members and children under 5 are always admitted free. Admission is $7.00 for adults, $6.00 for seniors and military with valid I.D., and $2.00 for children ages 5 – 12. For more information about the museum, upcoming events, or membership, visit the website at www.calvertmarinemuseum.com or call 410-326-2042. Categories: Maryland, Solomons | Tags: Calvert Marine Museum, Maryland, Oyster Pirates, Oyster Wars | Permalink.